France Cycling Tours - Guanella Pass . . . Both Sides! 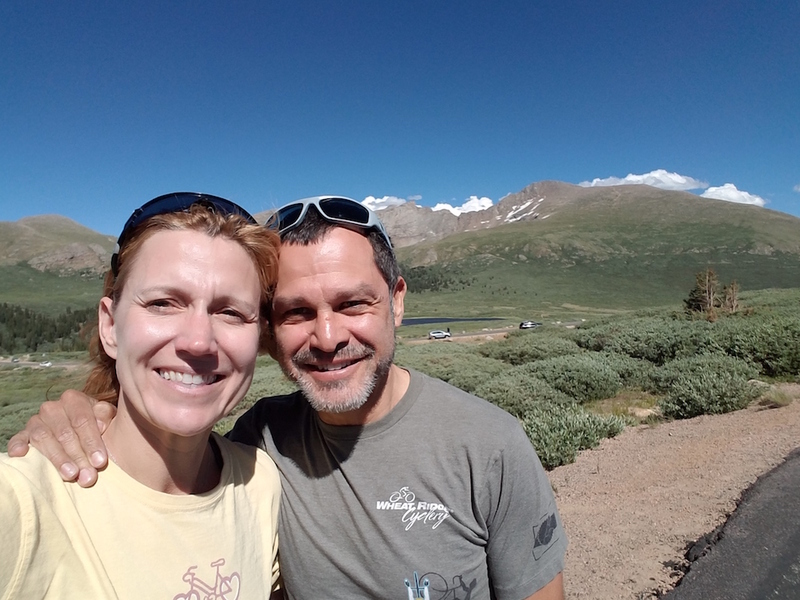 Today Matt and I tackled the beautiful Guanella Pass from both sides, starting in the little town of Grant on the southern end and going up and over the pass to Georgetown and back. 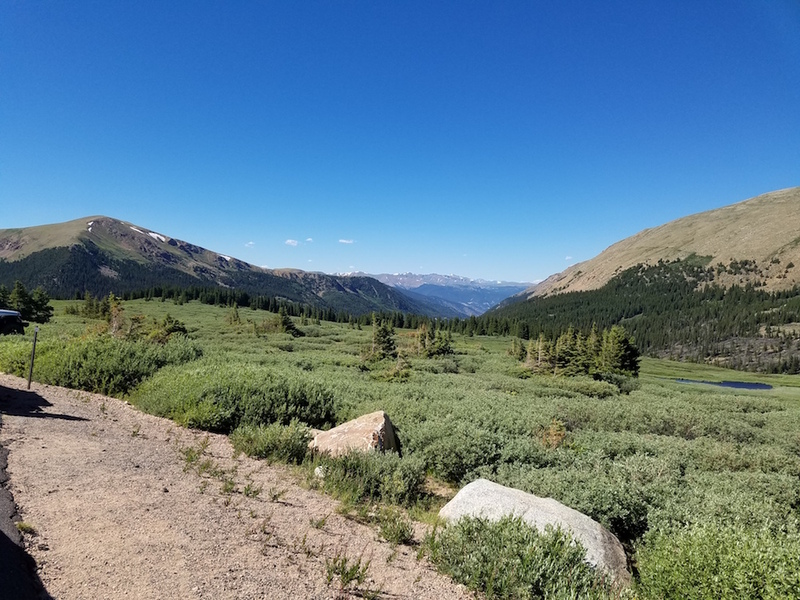 Val also tackled Guanella Pass from the south, but since she's still regaining her strength after her bout with pneumonia she decided to stay on the south side and climb it 1 1/2 times. 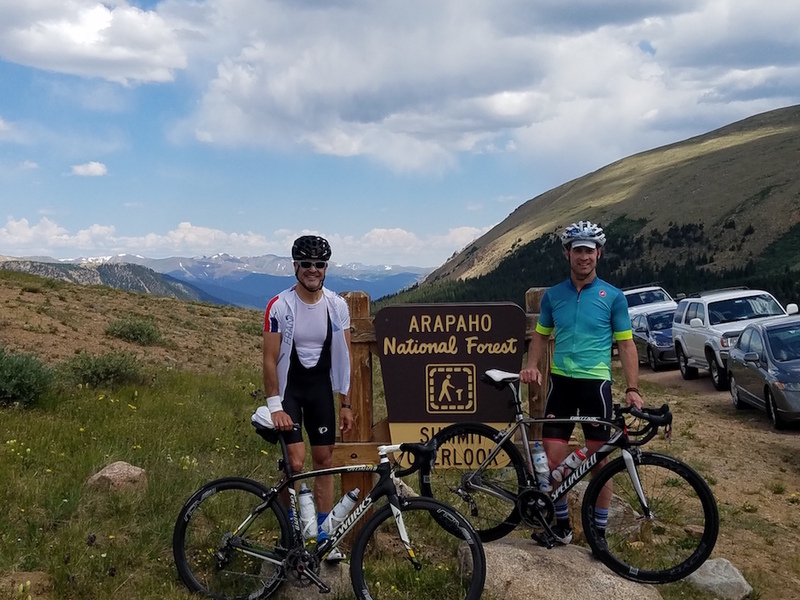 To prove we were there with bikes, here's a picture of Matt and me today at the summit . . . for the second time! Note that I was too tired to zip up my jersey or take off my sunglasses. That's because we had just climbed nearly 6,500 vertical feet in only 34 miles and I was exhausted! Fortunately all we had left was a 12 mile descent back to the car where we started. Perhaps best of all, there happened to be a great BBQ stand less than a mile from where we parked, so we all chowed down on the "Hungry Man Plate" of delicious brisket, pulled port and a rib. It was exactly what we all needed after a very difficult day on the bike. PS. We leave for France two weeks from today . . . can't wait!